A true dog lover must go through the following lines in the poem written by G.K. Chesterton. Think you know everything there is to know about your canine friend? The list describes some fun facts about dogs which will grab your attention and surprise you for sure! 10 When a puppy is born, he is blind, deaf, and toothless! When a puppy is born, it appears to be so impotent and incomplete. The surprising fact is that their ear canals are closed and eyelids are shut, which makes them functionally deaf and blind. Why they are born in a state where both of its major senses are screwed up is answered by the theory of survival of the fittest, which means this gives them the chance to develop senses according to their environment where they belong. Some mammals have long pregnancy period and will give birth to fully functional offspring whereas some others give birth to live babies in a short span of time which will be an immature partly formed offspring. Canines belong to the latter category and need at most care during their initial days. The closed eyelids give protection to their optical system from exposing to different objects like dirt and grit. Relative silence is critical for developing ears as sound pressure cause structural movements in the matured ear. 9 All but two breeds of dogs have pink tongues! 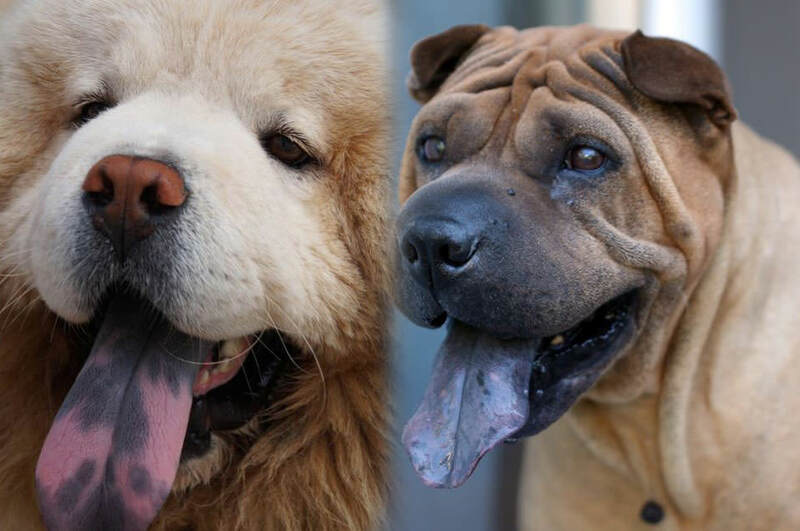 Except for the Chow Chow and Shar Pei, the two stereotypical breeds that have spotted black tongue characteristic, all other species have a pink tongue. The well-known breed Chow Chow has secured the 64th position and Shar Pei ranked 134th among popular 155 breeds and varieties recognized by the American Kennel Club (AKC). However, it is alarming that when a dog has suddenly developed black spots where there never used to be any. Dogs can develop melanoma or carcinoma, both of which present as spots on the skin. 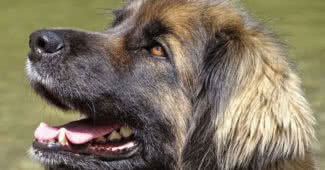 Additionally, darker pigmented masses underneath the dog’s mouth can be an indication of oral cancer. If some new black spots started developing in the dog’s mouth, it is always better to consult a vet at the earliest. If you are looking for a dog nicknamed the “barkless” dog, then go and get a Basenji. Even though it is known for not barking, it does not remain silent and possess vocalizations range from a delightful yodel to a hair-raising scream, as well as the usual growls and whimpers made by all other dog species.Basenji is also noted for its unique level of intelligence and defense against intruders. A Basenji can be perfectly trained and he will grasp every command we teach but his action to obey may be based on his own reasoning. 7 Dog size ranges from a 36 inch (150+ lb.) Great Dane to a 2 lb. Chihuahua! Great Dane breed has a great reputation for its height and charming nature. This breed can be as tall as 3 feet or more. They weigh between 50-90kg. In 2012 the Guinness Book of World records entitles a Great Dane Named Zeus as the tallest dog in the world. The giant dog measured 44 inches on four legs. With a maximum weight of 2.7 kg, the Chihuahua is identified as the smallest dog breed in the world. The Chihuahua breed has its origin in Mexico. They named after the Chihuahua state in Mexico. They have a small rounded head, erect ears, and rounded eyes. There are both short haired and long haired Chihuahuas in the world. Their coast comes in a wide variety of patterns and colors. 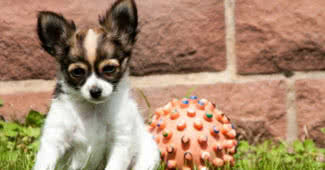 In fact, Chihuahua is one of the breeds with the largest combination of patterns and coat colors. 6 Most popular dog names are Max & Bella! 5 Puppies have 28 teeth and normal adult dogs have 42! Puppies possess baby teeth just like humans. They lose those baby teeth and have a full set of adult teeth by the time they are six months old, due to their rapid development and maturity. Baby teeth are also known as deciduous teeth. Like deciduous trees, which shed their leaves, the 28 deciduous teeth of puppies are temporary and lose over the course of their first half-year. The 42 that come in and replace them tend to last longer than human teeth. This is because of the shape of canine teeth and the tendency of dog food to be low in sugar, which means that cavities are a rare occurrence in dogs. 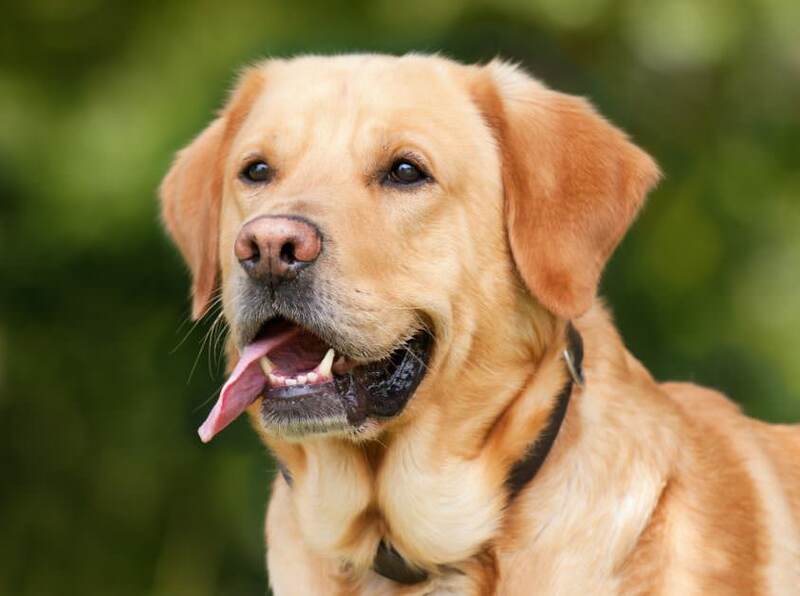 4 Most popular dog breed in the United States is Labradors! The most popular dog title in the United States has been given to Labrador Retriever also called Labs over the past 26 years. Labs are found to be friendly and companionable housemates. They socialize not only with humans but also with other dog species. The normal lab height varies from 22.5 to 24.5 inches and weight between 65 to 80 pounds. its coat comes in black, yellow and a luscious chocolate. Most of the labs are enthusiastic athletes that require lots of exercises to keep physical and mental fitness. The most interesting fact about Labs is that they are trained to aid the blind and autistic people in order to act as a therapy dog. 3 Kublai Khan owned the most dogs ever as 5,000 Mastiffs! 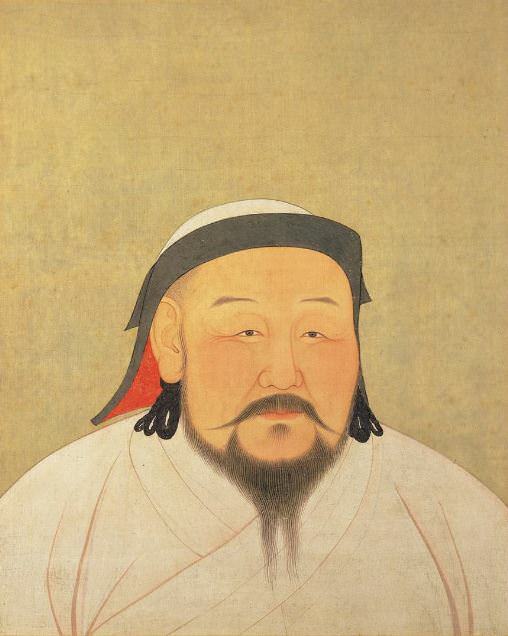 In the 13th century, the Mongol emperor Kublai Khan owned 5000 Mastiffs. He used them for hunting and war. The word “Mastiff” refers to a group of large dogs – breeds that played a role in the development of various bulldog breeds and mountain dogs. It is also the common name for an extremely large dog breed also known as the English Mastiff. These dogs are huge, there’s no getting around it. With females weighing a minimum of 120 pounds, the Mastiff is by no means a dainty breed. While the Mastiff’s size gives him a certain degree of formidability, he is also very noble, courageous, generous, and loving. Surprisingly docile and gentle, the Mastiff makes a wonderful family pet, though his size makes him somewhat of a challenge to keep. If you are an experienced dog owner with a lot of love to give, the Mastiff is a great breed to consider. 2 Dalmatians are completely white at birth! Dalmatians who have their origin from Yugoslavia are easily distinguishable by their white coats. The coats are pure white when they are born. Dalmatians are born with skin pigmentation spots that are screened by their white fur. 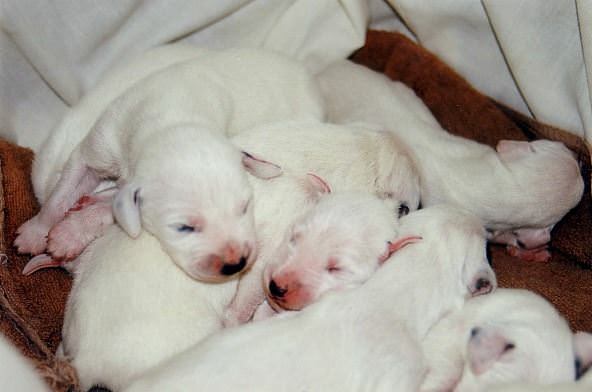 A newborn litter of dalmatian puppies isn’t recognizable by their spots. The spots are present on the puppies’ skin at birth but don’t begin to show in the coat until the puppies are about 10 days old. This means the majority of dalmatian puppies are born with solid white coats. The puppies’ spots continue to develop and darken rapidly until the puppy is mature, usually between 1 and 2 years of age. After that age, the dog continues to develop spots throughout his lifetime, but at a much slower pace. 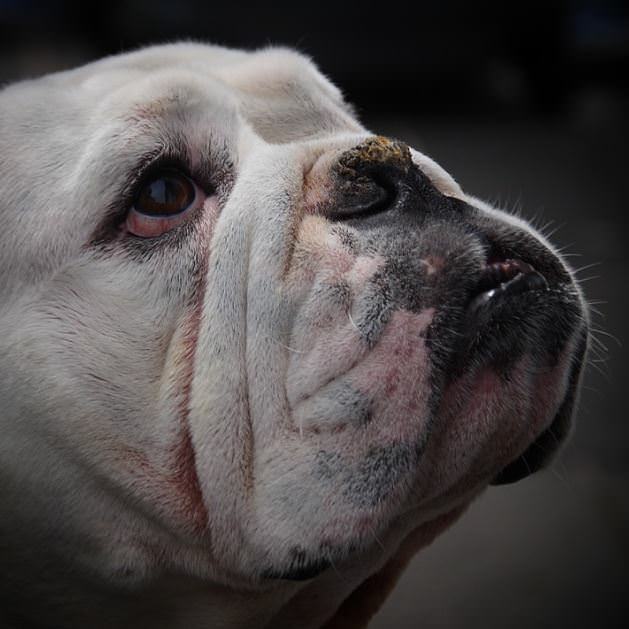 1 A Dog’s sense of smell is 10,000 – 100,000 times more acute as that of humans! The sense of smell of a dog is its most highly developed sense, and a dog’s sense of smell is about 10,000 to 100,000 more acute and sensitive as that of humans. The reason behind this is explained by the fact that the part of the brain that processes smell is almost four times larger in dogs than that of humans. Dogs have the capability to track a scent or the smell of a person or object for many miles, and which makes them the perfect aid for the search for missing persons by the police and search and rescue organizations. While a human being has approximately 5 million scent receptors in his nose, a tiny dachshund has 125 million, and a bloodhound has 300 million! The first sense a dog develops is “touch”. A device called “wagometer” can predict a dog’s exact mood by measuring the wag of its tail. The nerve of dogs spread across its body including paws. Dog’s shoulder blades are detached from the rest of its skeleton to provide them greater flexibility to run. In Iran, it is illegal to own a dog as a pet. The root of a dog’s canine tooth is longer than the tooth itself. Some dogs have the ability to smell dead bodies under water. Dogs don’t enjoy being hugged as much as humans. The number of eyelids a dog has is three. Dogs tend to have a dominated hand which is used often when only one hand is necessary. 45% of dogs in the US sleep with their pet parents.